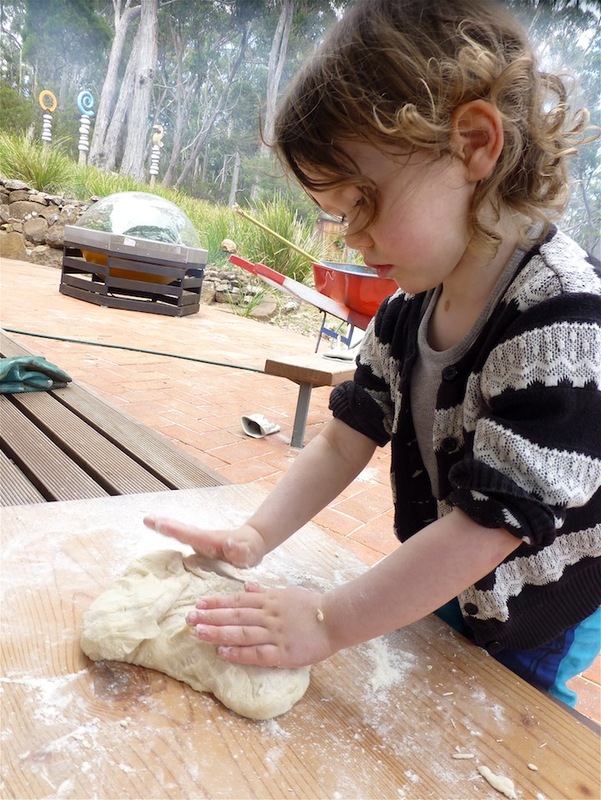 The great thing about having an outdoor kitchen, is that you don’t have to worry about the mess. 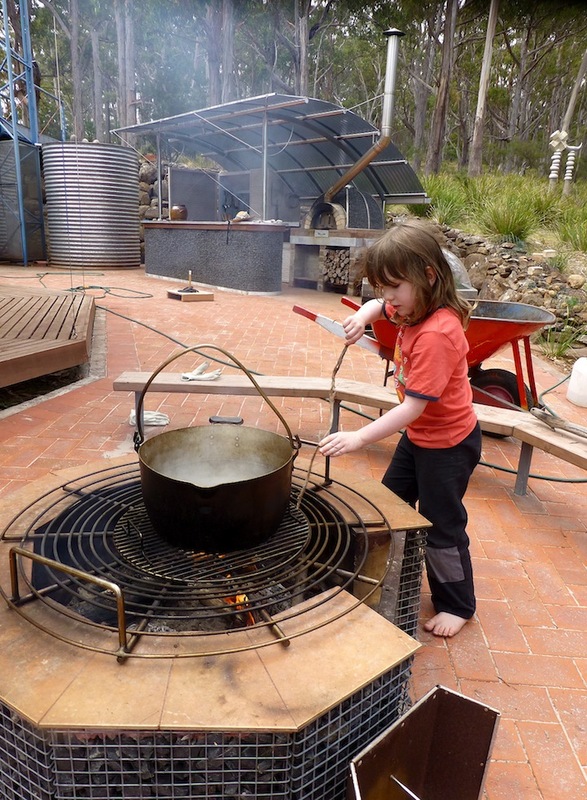 The kids can get right into the business – lighting fires (actually, Ninja Jet is forging a new blade here for his next adventure)………. 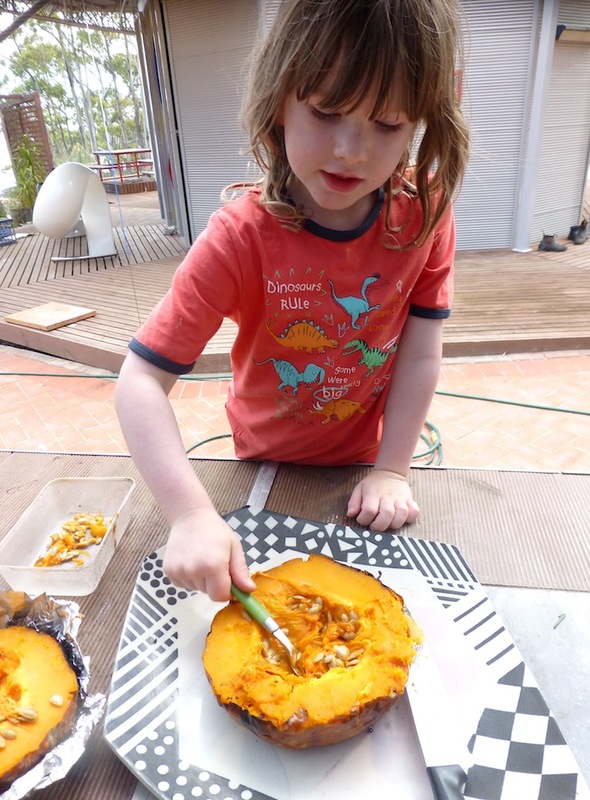 ………….getting stuck into making cheesey pumpkin bake…….. and baking bread. 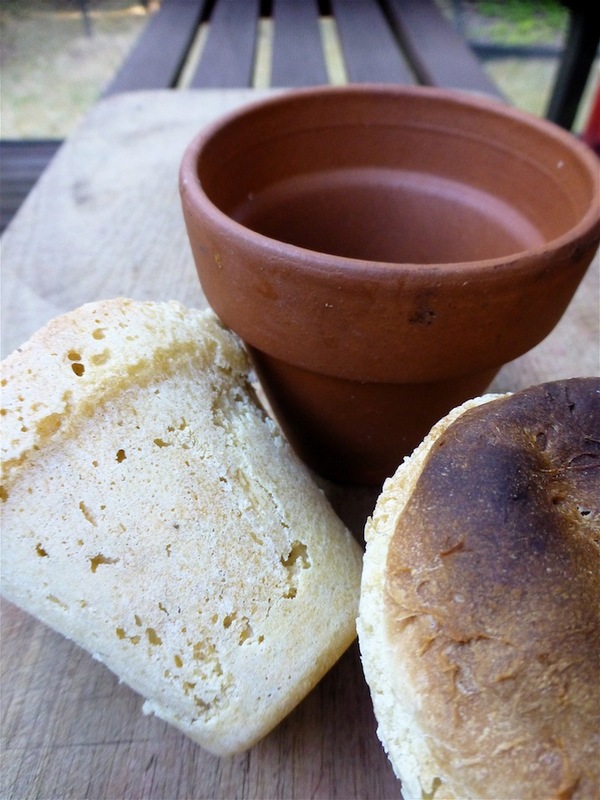 So as the learning curve on how best to use the wood oven is still fairly steep, when the family came over to Bruny for a couple of days, roast pork, roast lamb and pumpkin followed by a batch of flower pot bread seemed a good way to go. 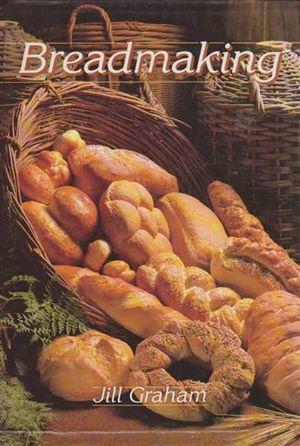 Another great Vinnie purchase yielded up a good recipe for the flower pot bread……….. Jill Graham’s Breadmaking, published by Wattle Books, NSW in 1983 is chock full of good bread making ideas. Her recipes are based in cups, table and teaspoons – so much easier if you don’t have scales or have to grapple with weight and volume conversions. Firstly, grab a couple of flower pots (new, unused ones only) from your local nursery and give them a good clean in warm water – not too much soap as the terracotta is absorbent and will taint the pot – then let them dry in the sun or in the oven. These then need to be seasoned. To do this reheat them in the oven and haul them out when hot and rub butter or oil into them. Repeat this several times. Next, combine 2 cups bakers flour, 2 cups wholemeal flour, a teaspoon of salt and one of sugar in a warm mixing bowl. 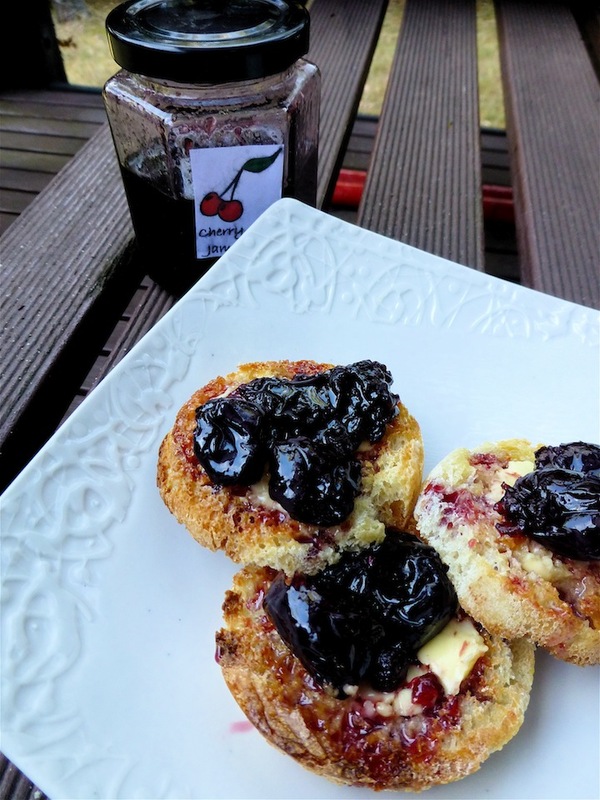 Cream 2 teaspoons dry yeast with little warm water and when it bubbles, add remaining 1 cup water. 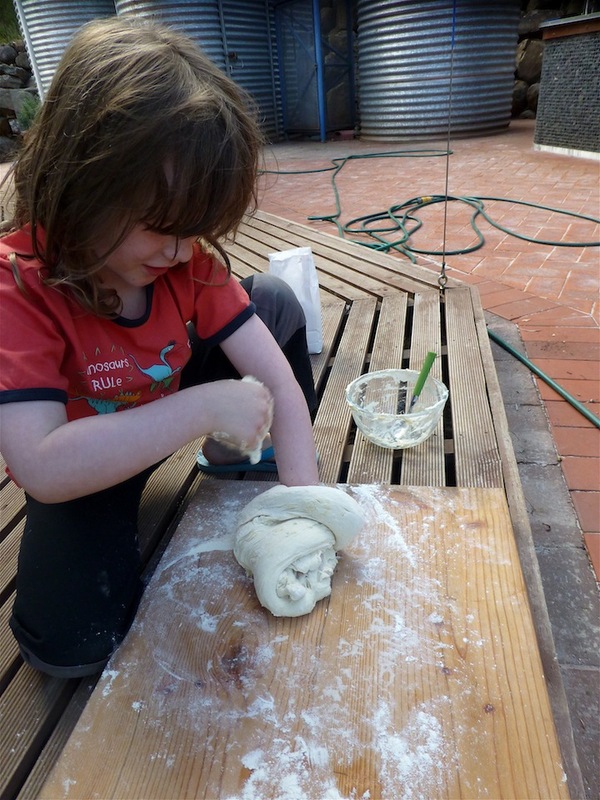 Making a well in the centre of the flour, add yeasty liquid and mix everything to a stiff dough…………. 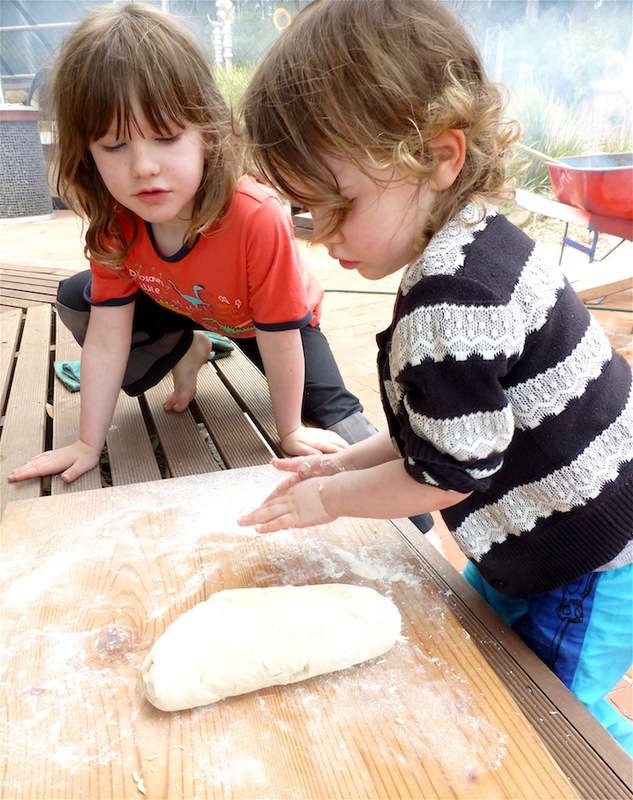 ………..turn dough onto floured board and knead until smooth and elastic………. ……..this was carried out with great concentration and dedication. Cover the dough and rest for a few minutes in a warm place to rise – then knead again. Oil the flowerpots and divide the dough up between them, leaving them to rise yet again. 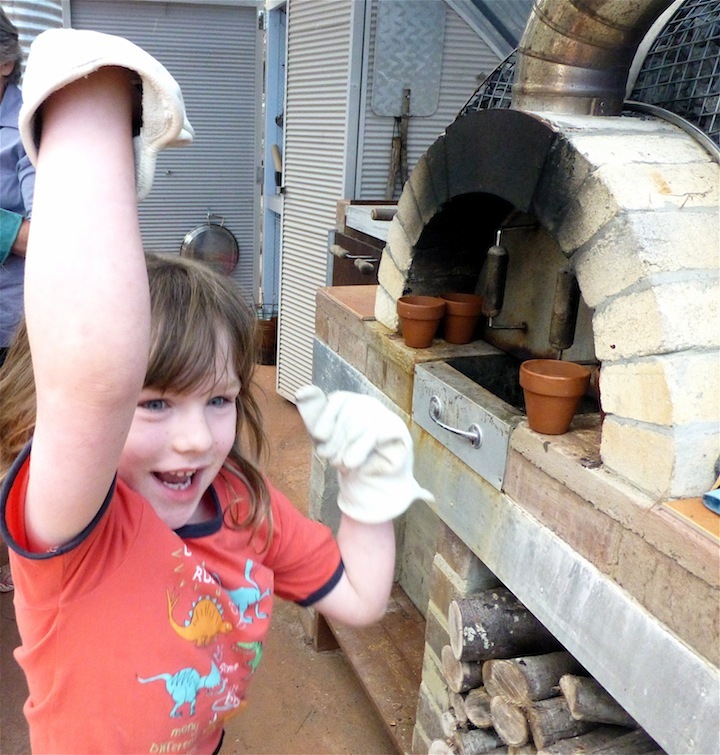 Check the oven’s heat – the coals should have been allowed to smoulder to about 220 c and bake flower pot breads for about 15-20 minutes. When cool – remove from the pots. 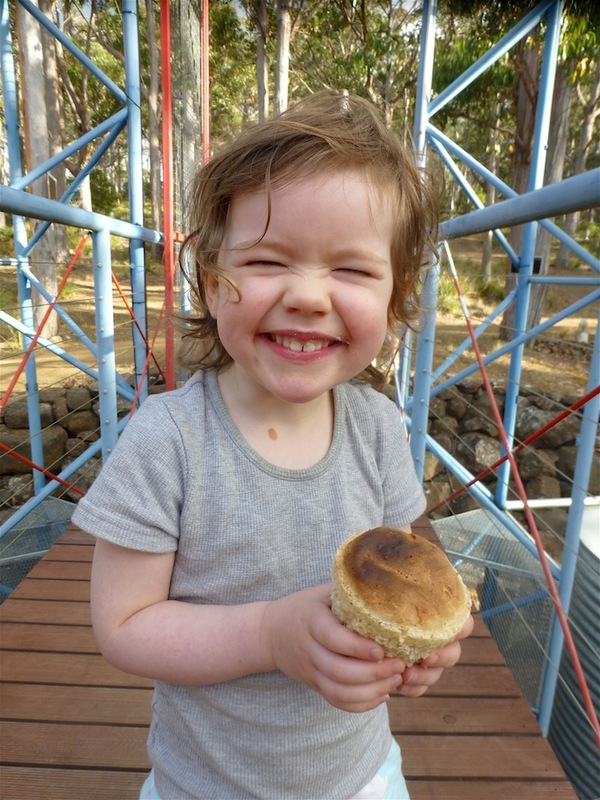 Miss Sadie felt quite pleased with her flower pot bread………..
……….and so did Brunyfire who served it up with some local Bruny Island cherry jam.